The power of physical therapy isn’t limited to musculoskeletal disorders. Trained in neurological rehabilitation, the Next Generation Physical Therapy team also specializes in the evaluation and treatment of those suffering for injury, disease and ailments related to the nervous system. 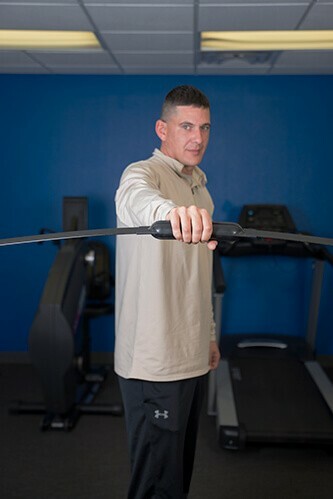 Whether you’ve suffered a stroke, live with dizziness/vestibular disorders, or have been diagnosed with diseases like MS or muscular dystrophy, our physical therapy team will work with you to improve mobility, helping you move better, restore function and ward off disability related to your neurological condition. To learn more about how physical therapy can improve your life by helping you overcome the challenges and limitations of a neurological condition, contact us to schedule a thorough evaluation. Amazing people who take time with each patient. They explain what is wrong and form a flexible game plan before treatment starts; I reinjured myself outside of therapy and Jacob/Emily readjusted what they had in mind for me to do that day. Open and friendly environment where conversations are a norm. Can’t recommend anyone else…and I won’t go to anyone else.